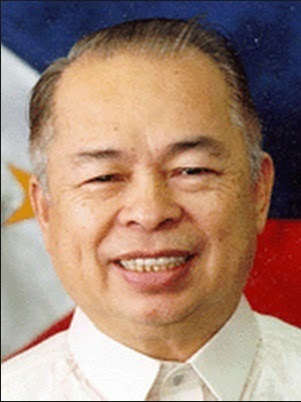 MANILA, Philippines - Former senator and Department of Health Secretary Juan Martin Flavier passed away on Thursday afternoon, October 30, 2014 due to multiple organ failure. He was 79 years old. According to a report from GMA News, Flavier's daughter Joy Flavier-Alampay has confirmed that her father succumbed to multiple organ failure and sepsis due to pneumonia. Alampay also said that the former senator had been confined at the National Kidney Transplant Institute since September 11 this year. Flavier is known for his slogan "Let's DOH it" during the Ramos administration. He initiated various health programs such as Oplan Alis Disease, Kontra Kolera, Stop TB, Araw ng Sangkap Pinoy, Family Planning and Doctor to the Barrios Program. He served as Secretary of the Department of Health until 1995. Prior to his appointment as the Secretary of Health, he went to serve the barrio people of Nueva Ecija and Cavite. Flavier, born to a poor family in Tondo, Manila received his degree in Medicine from University of the Philippines (UP) College of Medicine in 1960 and Masters in Public Health from Johns Hopkins University in 1969.